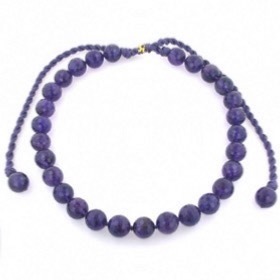 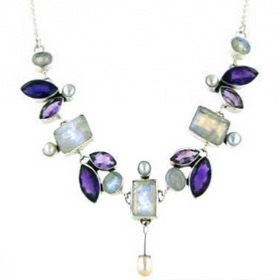 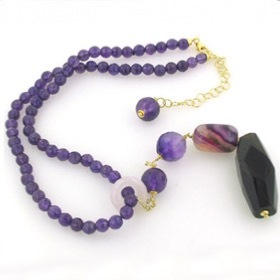 Here you will find amethyst necklaces with faceted amethysts, amethyst bead necklaces, amethyst pendant necklaces, statement amethyst necklaces and styles from discreet to dramatic. 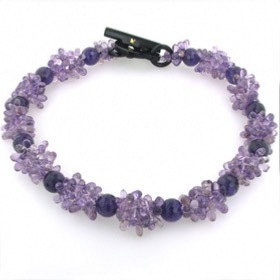 The amethysts are all natural - we don't use synthetic crystals. 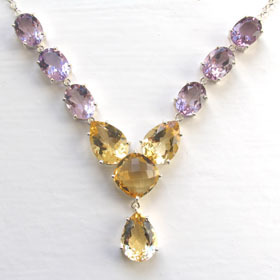 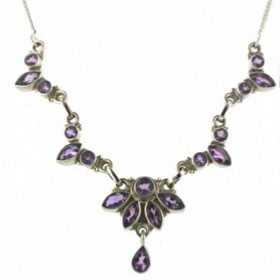 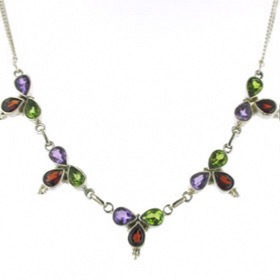 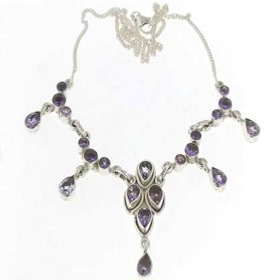 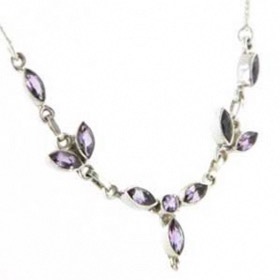 Choose amethyst silver necklaces for February birthday gifts. 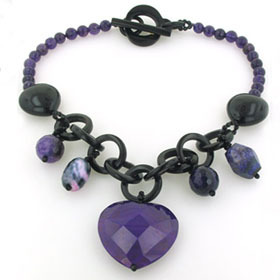 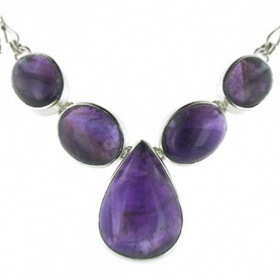 We source our amethysts from Brazil and Africa and choose the styles to suit them. 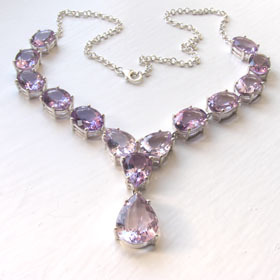 Amethyst is a favourite semi-precious gemstone and has been worn for centuries. 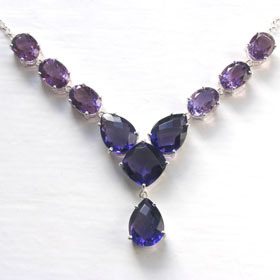 It is the February birthstone. 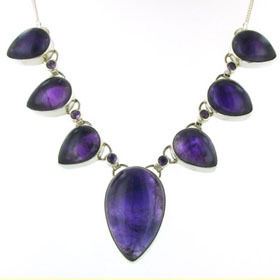 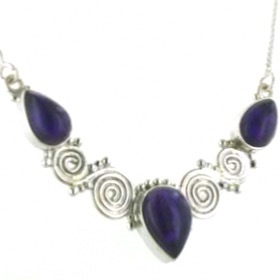 If a single stone amethyst necklace is more your style, see our amethyst pendants. 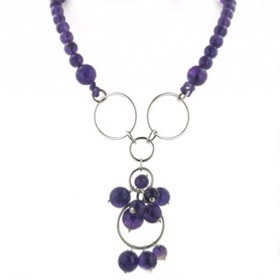 Chose your amethyst necklace from our collection. 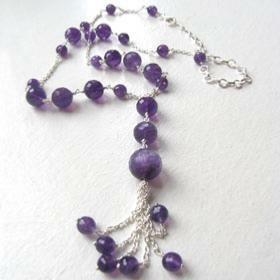 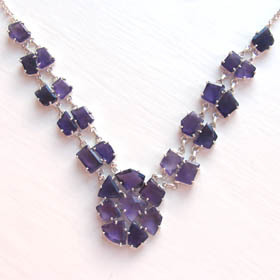 Faceted amethyst bead necklace in sterling silver.